ABOUT US – OFFERING A CHEAP REMOVALS SERVICE, QUALITY VALUE FOR MONEY. Now We’re Moving are a family run removal company based near Bath, who takes pride in the work we do. Whether you are moving next door or to the other end of the country, We offer removal services with a simple, stress-free moving experience. 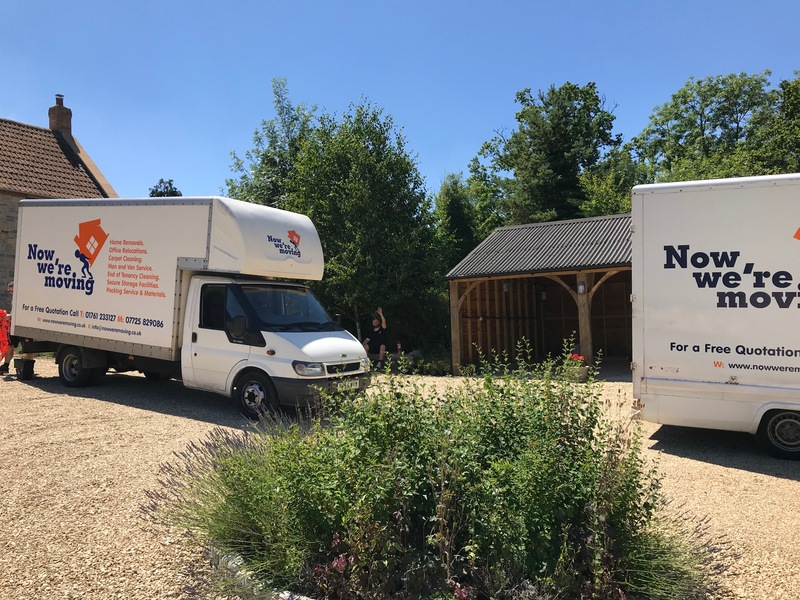 We are very experienced in moving families from their current homes to their brand new homes and we understand that all of our customers have different needs. Some are looking for a cheap removals service, where budget is their main priority, others are looking for that extra service. We can accommodate either. If you’re heading from a city apartment to a suburban house, or from the quiet countryside to a city centre, Now We’re Moving is a removal company that has the expertise. With Now We’re Moving you will find a removal company that will look after you from start to finish. We operate predominantly in Bath, Bristol, Frome, Midsomer Norton, Radstock, Wells, Trowbridge areas, but we will move anywhere nationwide. We also offer self storage facilities, office removals no matter how large or small the move is. please email or call for further information. We are offering a 5% discount for customers who choose our video survey. Facetime for iPhone users or WhatsApp for Android users. It’s the new and more convenient way to do a house survey. If you prefer to actually meet us in the flesh, then equally, we would love to meet you, to give you the absolute best price and service. Now We’re Moving offer the complete packing service. We take care of the contents of your home by using skilled packers. Each piece of furniture is carefully handled and protected for the journey to your new home. China, glassware, ornaments and fragile items are professionally packed using our range of cartons and modern packing materials. We will also pack books, utensils and linen. Our staff are also experts in dismantling and assembling furniture. So, if you choose to, you don’t have to do a thing. We will BEAT any proven quotation you receive!